Eve is about to blow your mind with her stunning and ageless makeup-free vacation pictures. The diva and wife of Maximillion Cooper is somewhere on a private beach living her best life and looking like a teenager while at it. 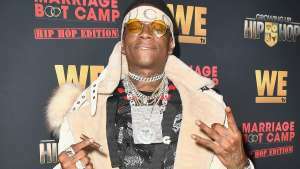 The “Let Me Blow Ya Mind” femcee, who is a co-host on The Talk, recently made headlines by saying that Cooper tricked her into believing that her father-in-law was racist. Eve really started an interesting conversation. Eve Reveals Janet Jackson Saved Her After Someone Had Spiked Her Drink At An Awards Show After Party!